A degloving injury is any injury to the hands in which an extensive section of skin is completely torn off from the tissue beneath. This injury essentially cuts off the blood supply to the skin. Accident related degloving injuries are some of the most painful and debilitating injuries a crash victim can suffer from. These injuries require immediate emergency medical care and often result in multiple surgeries, complicated recovery time, and long-term pain and suffering. In addition, degloving injuries can result in permanent disability. Open degloving injury – this injury results in the skin being torn off and the blood supply to the underlying tissue being restricted or completely cut off. In this injury, the tissue is scraped away from the tendons, bones, and nerves. The victim is often left with extreme nerve damage and scarring and skin grafts are often required. Closed degloving injury – this injury occurs when extreme trauma causes the blood vessels to break but the skin remains intact. 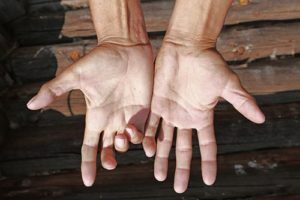 The blood supply decreases or becomes restricted, causing the tissue in the hands to die and become necrotic. Skin may become loose because there is no longer any tissue attaching it to the bone. During a pedestrian or bicycle accident, the victim is often hit by the vehicle and dragged on the pavement. The speed at the time of the impact and how long the victim is dragged will determine the severity of the degloving injury. Degloving injuries typically require numerous surgeries to treat the affected hand. Treatment includes replantation or revascularization. Sometimes skin grafts or skin flaps are necessary. In severe cases, it may be necessary for a full amputation of the affected extremity. Degloving injuries are extremely painful and treatment can be pricey. Depending on the severity of the injury, the victim may require multiple surgeries and prolonged medical treatment and long-term care. If you or someone close to you has suffered a degloving injury in an accident caused by another person’s negligence, you should seek legal help from an experienced Colorado Springs personal injury attorney. Contact the experienced Colorado Springs personal injury attorneys at the Green Law Firm today to schedule a no-obligation consultation and discuss your case. Call us today at 1-719-694-8515.